The Dr Nkosazana Dlamini Zuma Municipality has in partnership with various role-players developed a Heritage Rail Tourism product running Steam Hauled Day trips from Creighton. The Municipality is disposing of 7 Refurbished Rail Coaches, which are surplus to their needs, suitable for accommodating en-suite sleeping passengers. The sale of the coaches shall be Voetstoots i.e. the coaches will be sold “as they stand”. The offer must be inclusive of VAT. All responsibilities of transport will be for the buyer. (There is no rail link to CREIGHTON). The COACHES may be viewed at the CREIGHTON STATION on any working day between 08:00 and 16:00. Procedure related enquiries: Miss N. Holiwe, 039 833 1038. Dr Nkosazana Dlamini-Zuma Municipality, P O Box 62, Creighton, 3263. Tel. 039 833 1038. Fax. 039 833 1179. Bid offers to purchase must be made in writing and e-mailed to: vezin@ndz.gov.za (Mr N.C. Vezi: Municipal Manager) and CC to: holiwen@ndz.gov.za (Supply Chain Management Office) marked “Offer to Purchase Rail Coaches” by 12 noon on Wednesday 15 May 2019. Bid offers submitted via e-mail must be also be supplemented with posted original documents directed to the Municipal Manager, Dr Nkosazana Dlamini-Zuma Municipality, Main Street, Creighton, 3263. 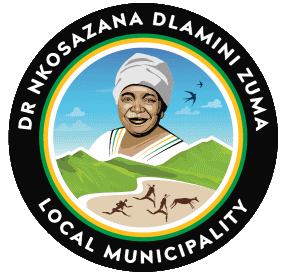 Dr Nkosazana Dlamini-Zuma Municipality reserves the right to accept/negotiate further or decline any offer made.